Texas didn't score the first goal tonight, but they did score the last. And that was all that mattered this evening in Cedar Park as the Stars beat the IceHogs to go up 2-0 in the Western Conference Final. "Our group is resilient," said head coach Derek Laxdal after the 3-2 OT win. "There's not much to say after the third period. Just do what we do best; grind it out. This is what we do." Curtis McKenzie was the overtime hero tonight, but it's taken a village in OT overall in the postseason. In his postgame comments, McKenzie noted that fourth liners Sam Laberge and Joel L'Esperance each have a game-winner. "We like to keep it entertaining," joked McKenzie. "It's been finding ways to win games, come back in games and it's a goal from anywhere in the lineup. When guys are out there, everyone wants to put it on themself." The IceHogs opened the scoring in the first period. With a strong forecheck from Rockford, Texas got hemmed in and was caught swimming a bit. John Hayden found himself alone in front with time and went five-hole on Mike McKenna. 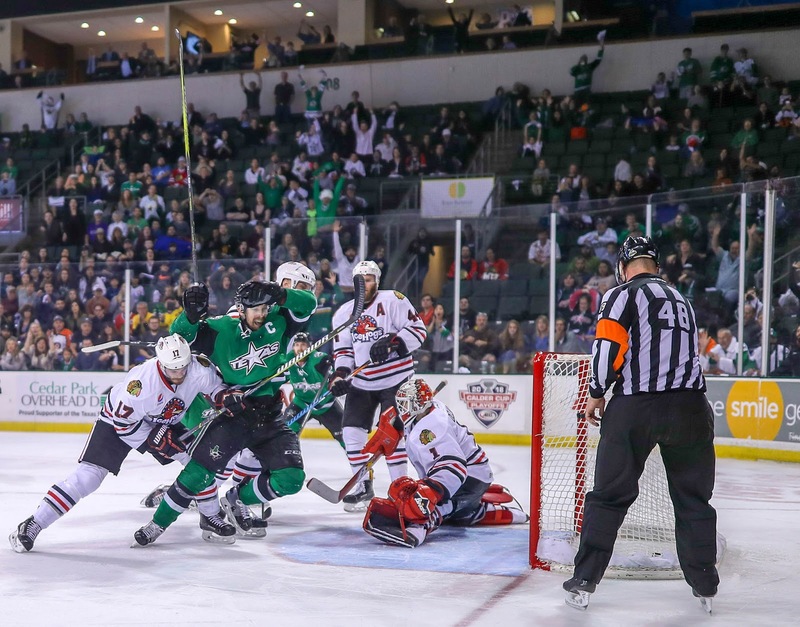 It was the only scoring of the frame as Rockford outshot Texas 11-6 in the frame. "Rockford had a really good push early on in the game," added Laxdal. The Stars picked it up in the second period with keen plays from defensemen assisting in their efforts. Matt Mangene found Jason Dickinson open in the right wing circle for a pass from the complete other side of the ice. Collin Delia couldn't react fast enough as Dickinson one-timed the puck into a wide-open net to tie the game. Just a few minutes later, the power play came through. From the point with some traffic in front, Brent Regner skipped the puck on the ice like a stone on a pond. Roope Hintz occupied the D-man in front as the shot skittered over Delia's left pad to put Texas up 2-1, their first lead of the game. Rockford would comeback with a great deflection play in front of the net on a power play of their own. In the building, the credit went to Chris DiDomenico, who centered the puck to Matt Highmore. The deflection off his blade in the paint was so quick that it was nearly undetectable on the film. It bounced out as quickly as it went in, leading to a quick review. With the score tied at two, Texas would head to the third period. No score would be forthcoming in the final frame of regulation. The Stars had two golden opportunities with the extra man late as John Hayden and Lance Bouma each committed minor infractions. Texas was good, but Collin Delia's glove hand was better. Heading to OT, Texas was moving into familiar territory with their 35th OT across regular season and playoffs. Asked what they chatted about in the intermission, McKenzie added, "There's not a lot you have to say. 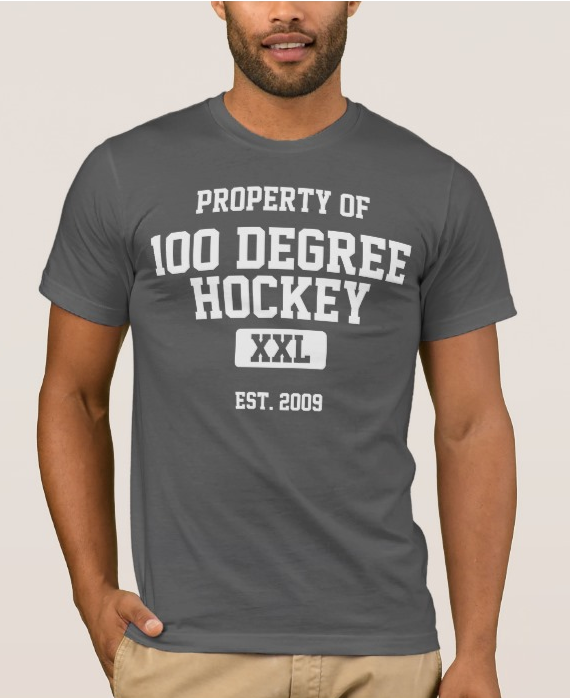 Everyone on the ice wants to score that goal. No one is being tentative." The game nearly ended on a 2-on-1 for the IceHogs early in OT. A dive by Heatherington forced the pass, and Mike McKenna poked it astray to end the chance. Around the halfway mark of the period, Texas earned a power play as McKenzie had a partial break and got taken down trying to split the defense. The timing was fortuitous as the Stars had a few seconds to regroup with the ice cleaning. "It was nice to have that timeout halfway through the overtime period. It allowed me to rest [the first PP unit] a little bit. If not, I was going to call our timeout. Those guys came through when called upon." Texas funneled a puck to the net, and McKenzie ended the contest with a rebound he buried. Laxdal quipped, "That's his area, five feet outside the paint." The Stars head to Rockford tomorrow directly via charter to prep for Game 3.